These types of stoves are becoming a handier alternative to the typical single oven appliances. That’s because a double oven can take your cooking experience the next level. So What's the Best Option? Whatever your needs might be, you should evaluate your oven usage and determine if a double oven will add a boost to your cooking experience. No, a double oven isn’t like a wall oven. 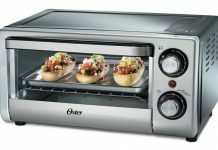 It boasts two different ovens, one stacked on top of the other into a larger unit. Each of the ovens has its own set of functions. These kitchen appliances feature different sizing options, too. Some are a smaller half-oven on top of a full-sized one. Others are two full-sized ovens. 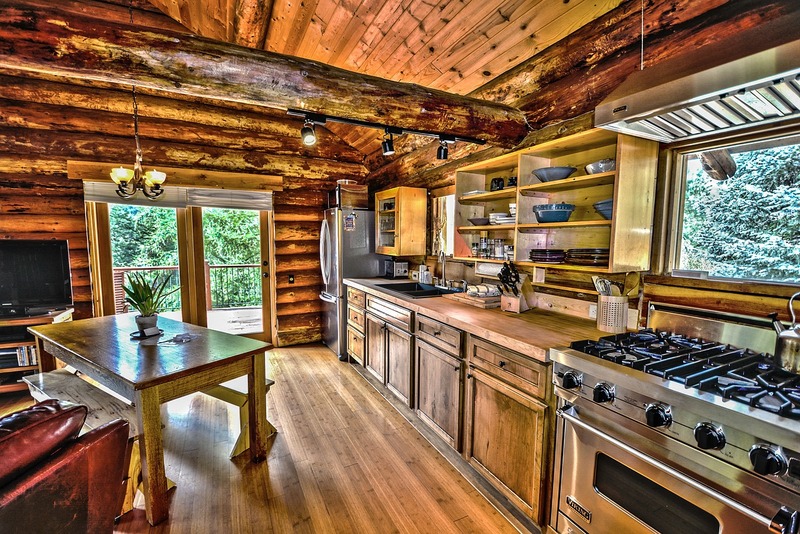 The space in your kitchen should determine the size you’re going to settle on. Perhaps you’re wondering how it could be more of a benefit than that standard oven in your kitchen. Well, wonder no more! We've got the answer. There are many reasons as to why you might need this appliance. With a double oven, you can cook different foods at a different temperature, all at the same time. Plus, depending on the product, you can cook using different cooking functions, too. This is something you don’t get in a single oven. It takes less time for a small cavity to heat up than a large one, which explains why double ovens heat up at a faster rate. They have comparatively smaller cavities than the usual single oven. You have a smaller space to clean with a double oven. You can use one furnace (for everyday cooking) while saving the other for when you need more cooking space. With a single oven, however, even the smallest roast splatters on every corner of the oven. No need to worry over the possibility of cross-contamination. You can cook your main meal in one furnace and your dessert in the other furnace, maintaining the original taste of both dishes. 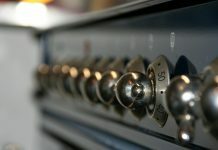 Given the many options available on the market, it can be a daunting task to buy a double oven. It's possible you might not know what to look for, ending up purchasing the wrong product. Some products come with limited features. Meanwhile, some others boast a ton of features that aren't for everyone. You'll want to check for some standard features before grabbing a double oven. The number of racks is one of them. Ensure you’re buying products with enough racks to suit your needs. It’s important that the racks have safety stops, too, so they don’t pull out accidentally. Also, you want the grill tray sliding in and out easily. It should come out far enough so you can utilize all the space. And, ensure that it has a safety stop, just like the racks. As for the controls, they should be intuitive and easy to use. For those looking to save on cleaning time, choose the models with a fingerprint-resistant exterior. 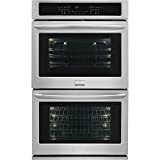 Double ovens are available on Amazon, Lowes, AppliancesConnection, HomeDepot, and Lowes, among other online and brick-and-mortar stores. Our main goal was to find those ovens that serve people and families with different needs. Therefore, in our review process, we looked at many factors, such as efficiency, convenience features, design features, cooking options, and even warranties. Of course, cooking features are of utmost importance, but when it comes to convenience, don't overlook the self-cleaning feature. Price counts, too. Our selection includes products with a wide range of prices so that you can easily find something within your budget. These come with different features and designs, as well as prices. So, depending on your needs, you want to choose wisely. This list is in no particular order. The Frigidaire brand made our list with its standout product. This double oven comes with six racks, making for enough baking room. The oven doors lock automatically during cleaning, which is a handy safety feature. This stove comes in three color options. People who’ve used the product appreciate that both furnaces boast convection technology. There’s heat- and steam-clean cycles in both ovens, too. The absence of dehydration and defrost settings are among the cons reported. Some users also complain the convection fan is a tad noisy. Luxury-Glide Oven Racks - With a ball bearing system, the oven racks are so smooth they extend effortlessly. Complete with two large-capacity furnaces, this stove makes for a good option to cook multiple dishes at once. 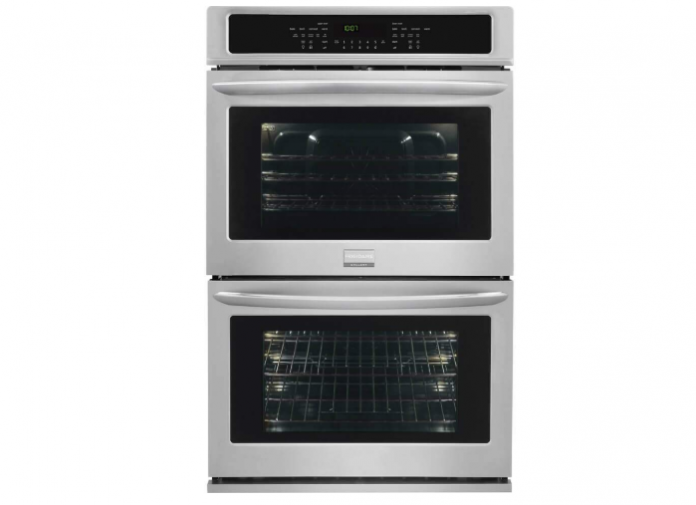 This double oven also comes with all of the essential basics, such as baking, broiling, and roasting options. The product features three years of warranty coverage. Most purchasers are in love with Electrolux EI30EW45PS. Both defrost and dehydrate settings are available, which is a good thing. Unfortunately, there’s no steam-cleaning cycle, which some buyers find a bummer. The hefty price tag is another con owners have complained about. You can control GE PT9550SFSS from your smartphone thanks to the Wi-Fi-Connect technology. Plus, you get convection cooking technology in both chambers. The self-cleaning capability with a steam cleaning option is a bonus. Customers couldn’t rave more about this oven. It works great. It heats up quickly and maintains a steady temperature. And the baking options are awesome. Some users could not hide their disappointment, however. They complain the fans are somewhat noisy. This Samsung product boasts a Flex Duo divider. You got that right! It’s three ovens in one. It serves both as a large single oven and as two small ovens (by sliding in the divider). You get wifi connectivity for remote preheat, too. Also, the five-burner cooktop is a handy addition. Users like that the burners can switch temperatures pretty easily. The product boils water fast, and it’s a winner when it comes to roasting foods. Some people who’ve used this product have had their fair share of woes, though. These complain that the double oven is poor at baking things evenly. 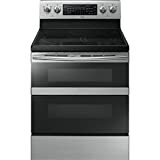 Another outstanding double oven, this product comes with glass controls for easy operation. The ProBake Convection technology ensures even baking on each rack. And, the EasyClean feature makes sure both ovens are steam-cleaned. Most users report a good experience using the LG LDE4415ST. The product boasts a pretty fast preheat time. Water boils at super-fast speeds, too, and the burners have a considerably swift switch between high and low temperatures. A handful of users, however, find the product to be expensive and claim it gives poor baking results. 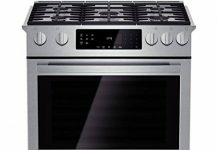 Our list features some of the best double ovens you can choose from, depending on your needs. However, some of these come with exceptional attributes you can take advantage of. For instance, if you’re looking for plenty of baking space, the Frigidaire FGET3065PF and the Maytag MEW9630F could be an attractive purchase. The Maytag MEW9630F also adds a whopping 10-year warranty on parts and labor. 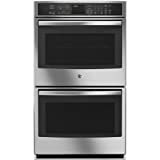 Plus, the Frigidaire FGET3065PF gives you heat- and steam-clean cycles in both ovens. 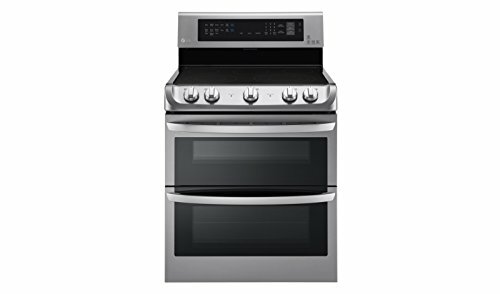 Pricewise, if you crave a wallet-friendly double oven, we recommend the LG LDE4415ST. It’s the cheapest product on our list. On top of that, you get the steam-cleaning feature, as well as a super-speed, preheat time. On the other hand, if you can’t help but spend a fortune, the GE PT9550SFSS might be a great purchase. The model comes with a wireless control system so you can control it from anywhere via your smartphone. It’s also good to mention that, according to our list, the Samsung NE59M6850SS is the only product with a Flex Duo divider, making it a three-in-one product. This only means that you have access to one big oven as well as two small ovens. Is there any double oven you’ve bumped into that has met or exceeded your expectations? Please share with us in the comments! Next articleWeg745H0FS: A Review of Products on its Specification!